Learn To Paint With My eCourses! Sharing how I paint and teaching you to do it is as rewarding (or maybe even MORE rewarding) to my heart as painting alone. I get giddy when I open a message from one of you showing me what you made using one of my tutorials! I just love it!! So, to make my own heart happy, I am having a summer sale on all of my eCourses! They are marked down and some are 50% off the normal prices! I want to help you get creative this summer! Let’s paint together! Learn to create your own Little Camper mixed media canvas. We have lots of fun using our fingers, stencils, papers and more to bring this piece to life. In this course you will learn to create this meaningful reminder that this world is only temporary. Create three original pumpkin paintings with this eCourse! 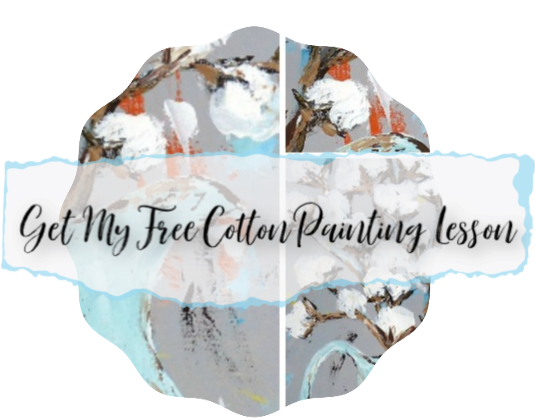 You will learn to be loose and get a little messy with the palette knife, layer lots of fun textures in a mixed media piece, and use a brush to create a watercolor piece that exemplifies the beauty in simplicity.